Advisory: CNN Re-Airing Groundbreaking 1998 Documentary - "COLD WAR"
Washington, D.C., January 3, 2014 – Marking the 25th anniversary of the fall of the Berlin Wall later this year, CNN will begin re-airing its monumental, 24 part series — "COLD WAR" — starting tomorrow, January 4. The series broke new ground when it first aired in 1998-1999, offering an in-depth look at the period from the viewpoint of its various antagonists based on rare film footage, fresh interviews with leading historical figures, and essential declassified documentation. 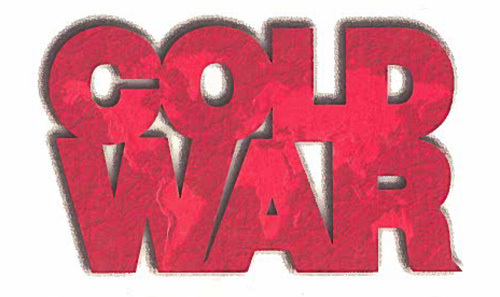 One of COLD WAR's main innovations was the creation of a wide-ranging Web site that provided access to full-text transcripts of interviews, documentation, and other significant educational features. Both the series and its Web site won numerous honors, including a George Foster Peabody award and a Sigma Delta Chi award from the Society of Professional Journalists. The National Security Archive served as a consultant for the series. Archive Director Tom Blanton, Analyst Bill Burr, and then-Fellow Vladislav Zubok (now at the London School of Economics), along with other Archive staff provided voluminous declassified documentation from Western and former Communist archives, as well as additional primary research and guidance. The series, executive produced by Jeremy Isaacs and narrated by actor Kenneth Branagh, also generated extraordinary public debates over the history of the period. The CNN Web site is now available on the Internet Archive site here. For a CNN announcement of the series, including background and scheduling information, click here. In addition, selections of declassified documents collected for the series by the National Security Archive, and several of the interview transcripts are accessible by clicking on the relevant links.